I’m pleased to announce two new tracks from GameChops artist Benjamin Briggs. The Diddy Kong Racing champ turns his focus to Sonic the Hedgehog, creating unique remixes that blend multiple sonic tunes together. Both draw inspiration from Aquarium Park from Sonic Colors. 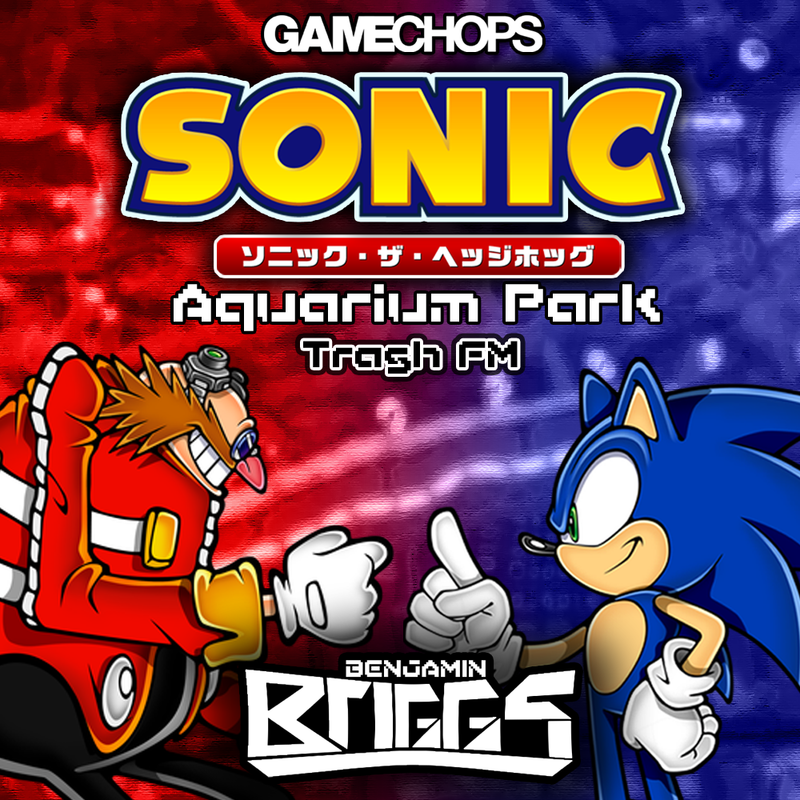 The first track, Trash FM, combines Aquarium Park from Sonic Colors with Hydrocity from Sonic The Hedgehog 3. The result is an electro-house banger unlike Sonic fans have ever heard! The second takes the same Aquarium Park theme and puts a dub spin on it, combining it with Rusty Ruin from Sonic 3D Blast. These two tracks are part of an ongoing initiative by the team at GameChops to provide legally licensed video game remixes. San Francisco based company Joypad Records has been instrumental in obtaining compulsory licenses from Sega, as well as license from Nintendo for last month’s Triforce of Bass. Follow Benjamin Briggs on Twitter, Soundcloud, and Facebook. Find more of his music on Bandcamp. Previous PostFriday Freakout: *BEAUTIFUL* new Vince Kaichan EP released!! !Next PostFriday Freakout: The World Is Square debut album released!! !